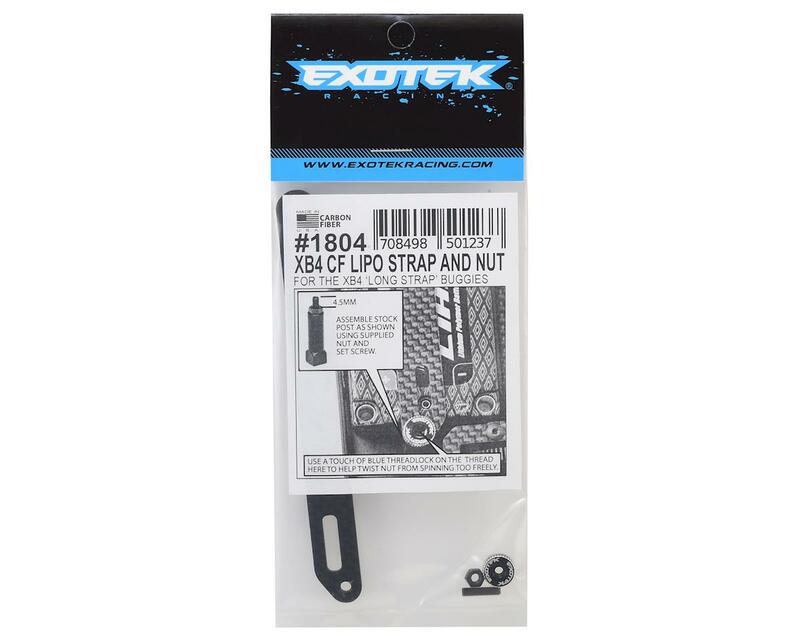 This is the Exotek XB4 Carbon Fiber Battery Strap. This USA made, 2mm thick strap, features a twist nut design and features a large opening in the strap for easy balance plug, pit side access. For the XB4 series buggies using the long shorty strap chassis ('18, 17 etc). 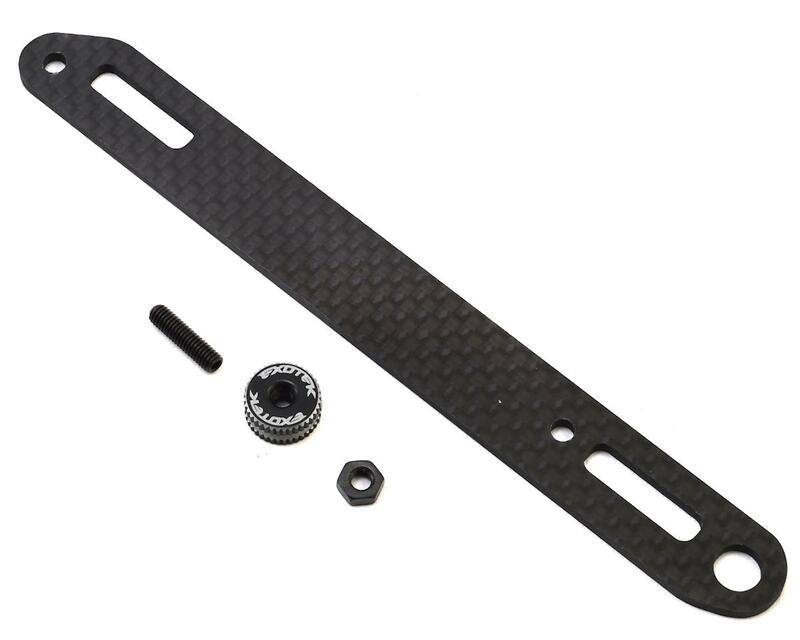 Simple and easy access twist nut design and factory carbon fiber looks equals a win win in the pits!